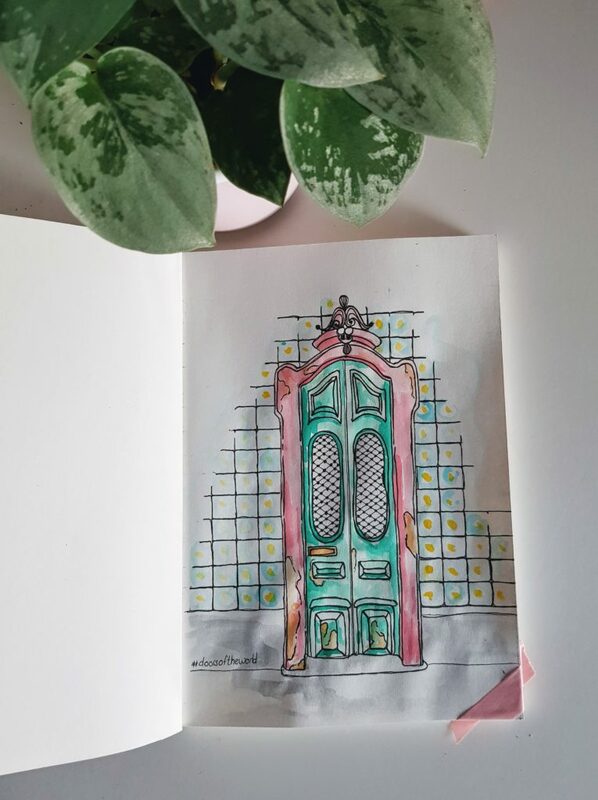 Painting or drawing some of these doors will be one of my projects for 2018….hopefully I’ll manage one door every week and I end up with 52 beautiful doors in my sketchbook. This door directly catched my eye due to the colors. I love the color combination and even if the door is heavenly damaged it’s still very pretty. 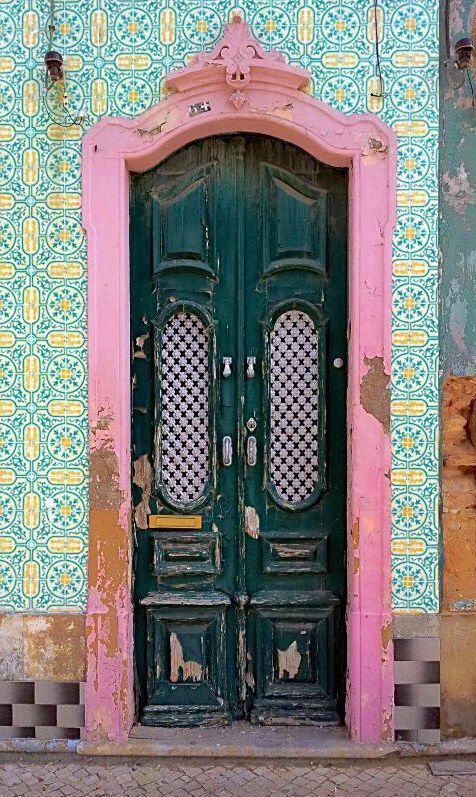 If I’m correct this door can be found in Portugal, but I can’t find the person who made the photo (if this is your photo please contact me). 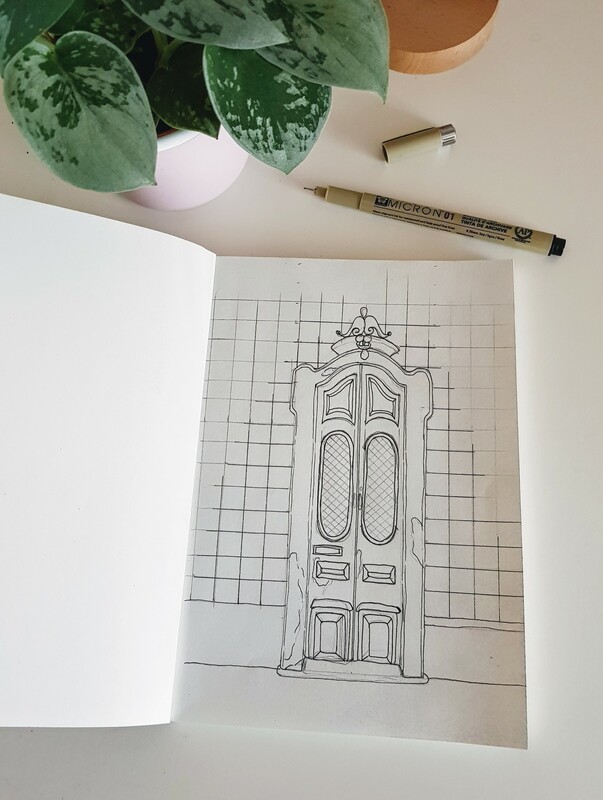 What do you think about my interpretation of the door?